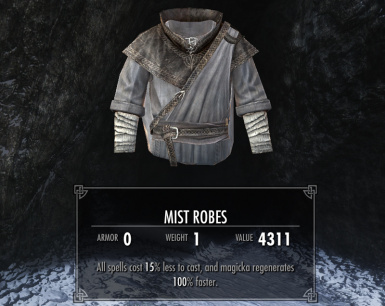 Stand-alone robes with decent stats to get your mage off to a good start. 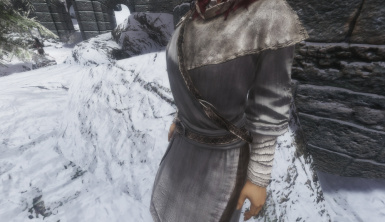 Based on Apprentice Robe meshes with new textures. 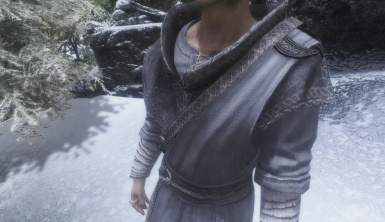 You can include these robes in your mod if you give me credit for the textures. Added a matching hood to the set. Stashed hoods right where I stashed the other stuff. 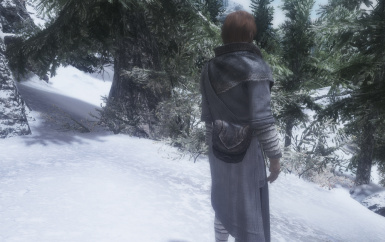 Added a rock outside the Helgen exit to prevent the clothes I hid there from rolling down the hill. Apparently, at some point, I reduced the file size of the textures for better performance. That's why the download got smaller. George: "I happen to dress based on mood." Jerry: "And what mood is this?" George: "This is Morning Mist." This mod is pretty simple. I made it for myself, but decided there was no reason not to share it. 1. 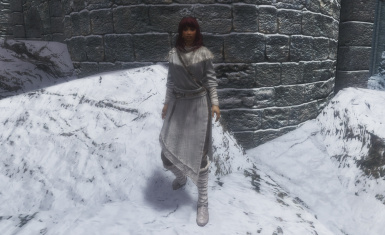 I wanted some plain gray robes for my mage character. 2. 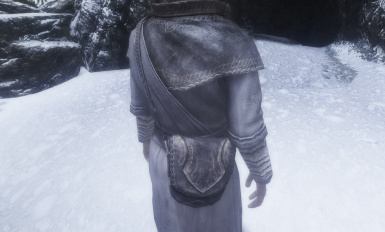 I liked the look of the Apprentice robes better than most of the higher-level mage robes. 3. I felt a little underpowered at low levels as a pure magic user, but didn't want to be too overpowered at high levels. 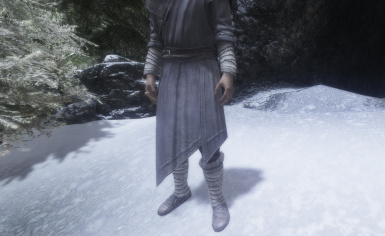 Stand-alone pale gray robes, with matching boots and hood. Male and Female versions are included. 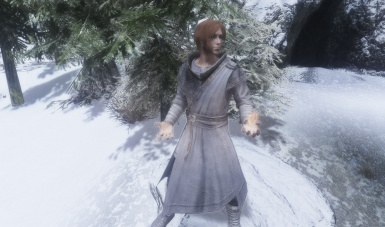 All are based on vanilla Apprentice robes. I stashed two sets in convenient locations for new characters. 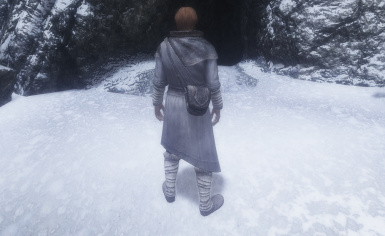 One is right outside the cave after you escape from Helgen, among some rocks. 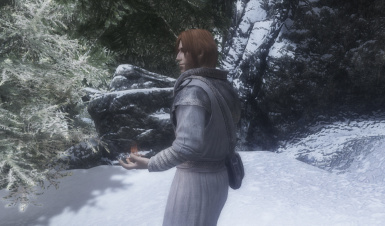 The other (for characters who start out at the Mage College) is in Winterhold, sitting under the staircase that leads to the college. 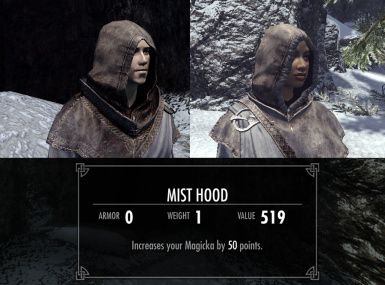 If you prefer to use the console to add them, they're called "Mist Robes," "Mist Boots" and "Mist Hood." The stats on the robes are the same as on the Archmage robes, which is actually mid-range as far as vanilla mage gear goes. 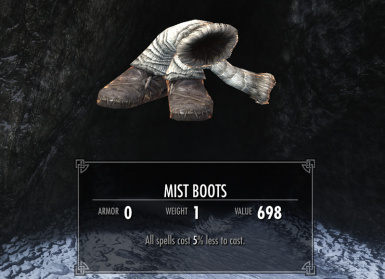 The robes give you -15% spell costs and +100% magicka regeneration, the boots give you an extra -5% to all spell costs, and the hood gives you +50 magicka. These stats will feel pretty significant as you're starting out. By the time you're able to find better mage gear, you'll have enough perks etc. that you don't have to worry so much about gear. The idea is that you can wear these through a whole game if you really want to! 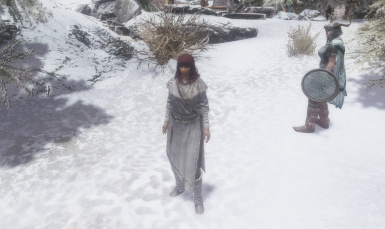 These robes do not replace any existing robes, but through some Creation Kit trickery they will use whatever mesh you already have installed for the Apprentice robes. 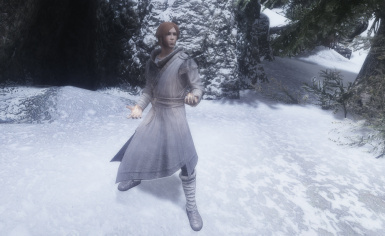 Any custom meshes for those robes (male or female) that still use vanilla textures will be compatible, which includes most "skimpy" versions on the Nexus. Your other custom textures will not be affected! 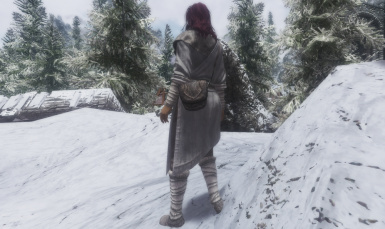 I made these textures myself by heavily modifying vanilla assets. They're only 1k resolution, but I promise they'll look great if you're using a fancy graphical setup. 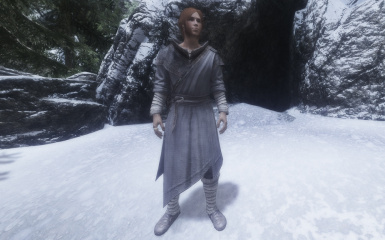 If you have installed HD normalmaps for clothes, these robes will make good use of them!